Dr. Troy Henke is an educator because he loves America. The fire of liberty was kindled in his breast when he was still a teen, while listening to a Miracle of America seminar lead by W. Cleon Skousen. Since then, he has spent much of his life learning all he could about the ideals and principles espoused in the Declaration of Independence and the U.S. Constitution. Stories about the men and women that founded this nation move him deeply and he fully believes America’s liberty rests on the pillars of virtue, wisdom, and an educated citizenry. Dr. Henke holds degrees in Computer Science (A.S., San Juan College); Biblical Studies and Education (B.A., Coral Ridge Baptist University); and Education (M.A. and Ed.D., George Wythe College). During the last twenty years Dr. Henke has worked as a teacher, administrator and consultant for several private and public charter schools. 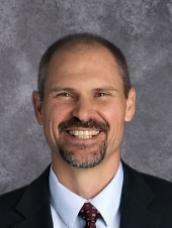 He is the founder of one public charter school (Idaho Leadership Academy) and two private schools (Liberty Tree Academy and Williamsburg Academy). Dr. Henke's expertise is developing liberal arts curriculum, in the Great Books tradition, with a strong emphasis in American Heritage.